While Elon Musk and SpaceX hog most of the media spotlight when it comes to private companies involved with space exploration, Amazon CEO Jeff Bezos is very much in the race too, and speaking Friday at the International Space Development Conference 2018 in Los Angeles, he provided details about what his space exploration company Blue Origin was up to. Development of the company’s New Glenn rocket and associated infrastructure seem to be moving along nicely. Bezos said Blue Origin had already purchased a landing ship for the first stage of the rocket (think drone ships that SpaceX uses to land the Falcon 9 first stages) and that work to refit the recovery ship would start soon. The New Glenn rocket, which the company has been working on for 5 years, would have a reusable booster stage, while the second stage would be expendable. Reusability of the rocket is a key component to the success of private enterprise in space development, since the costs of setting up such a company runs into billions of dollars (Bezos has sold billions of dollars worth of Amazon stock, and invested much of that money in Blue Origin). To demonstrate operable reusability, Bezos said he would want to fly the rocket’s booster stage 100 times. With reduced cost of access to space, it would be possible to achieve other aspects of Bezos’ vision for the future of humankind and space, one where all dirty heavy industries are moved off Earth entirely. However, much of the work on creating the necessary infrastructure in space would need to be a collaborative effort between various space agencies and private companies, he said. Bezos also lauded the new administration policy of restarting crewed missions to the moon, which he said was an important step to take before humans aim to land themselves on Mars, or elsewhere. He said he was a “big fan” of the approach, and expressed his like for step-by-step development of plans. Blue Origin is also working on a lunar cargo lander, called Blue Moon, which would have a capacity of 5 tons. Bezos said the company would build it certainly, but that if NASA partnered with it, the development of Blue Moon would be faster. 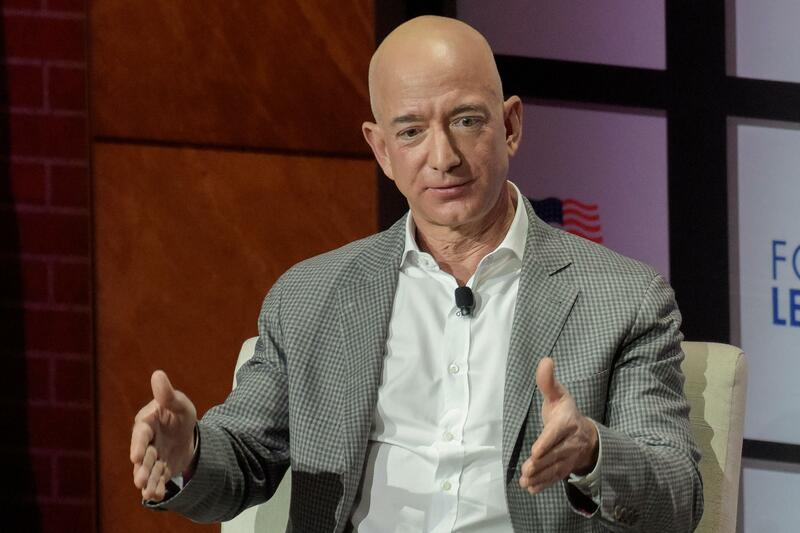 In response to a question, Bezos said, without a pause, that his company may build rovers too, if that is what it needed to do. But in the spirit of collaboration that he kept stressing, he said he hoped other people would do it instead. As of now, Bezos thinks Blue Origin should be in position to undertake commercial launch services for satellites by 2020. The company’s other rocket, New Shepard — designed for space tourism — may make its first commercial flight in 2018.